Replace your 1986-1993 Mustang AC blower motor with this high quality replacement! Don't let a burned out A/C blower motor keep you from staying cool! 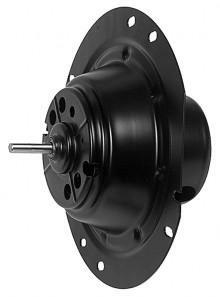 Factory Style replacement motor for your 1986-93 Mustang LX, GT or Cobra. This is a direct replacement for the blower motor in your Mustang. This is one common problem in 86-93 Foxbody Mustangs. It is a quick and easy fix to get your Mustang back on the road quick, keeping you cool! - Modification of the rubber vent tube will be necessary for proper fitment on 1990-93 Mustang.